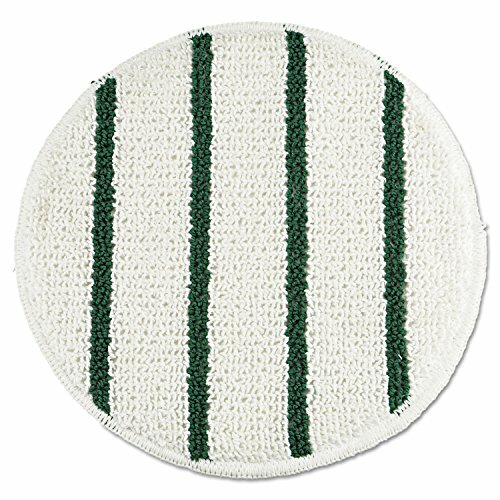 Save 1% on the Rubbermaid Commercial RCP P269 Low Profile Scrub-Strip Carpet Bonnet, 19'' Diameter, 5 Pads per Pack, White/Green (Pack of 5) by Rubbermaid Commercial at Momiji Studios. MPN: RCP P269. Hurry! Limited time offer. Offer valid only while supplies last. Low-profile bonnet is designed for use with any standard rotary floor machine. Scrub strips provide improved carpet cleaning performance. Low-profile bonnet is designed for use with any standard rotary floor machine. Scrub strips provide improved carpet cleaning performance. Original-blend fabric works equally well with shampoo- or solvent-based chemicals.